Two weeks ago Topps posted their first online Garbage Pail Kids product of 2019. 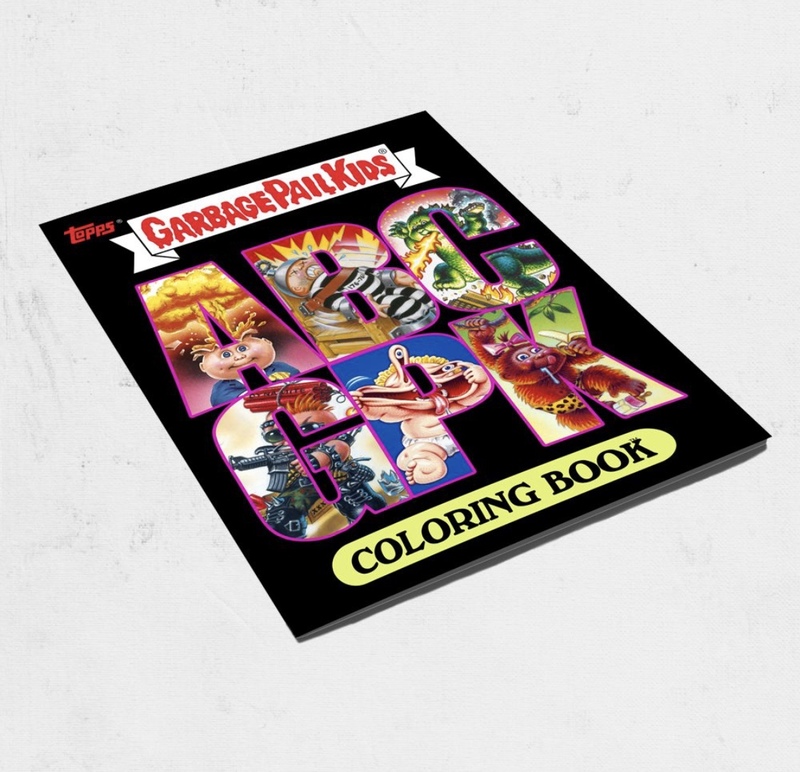 The ABC’s of GPK Coloring book features 26 pages of classic characters to color. In addition each book comes with one A is For Adam card, either with a green, pink, or gold border. The lure of an Adam Bomb themed card proved popular with collectors as the product sold out on topps.com a few days ago. Customers attempting to order the product the last few days were met with no, “add to cart” option on the product page. The new Topps website design made it difficult to tell if the product was sold out. Now that the sale is over Topps revealed that the print run of the coloring book is 1000 copies. There was no mention of a breakdown yet of how many green, pink, or gold A is for Adam cards were produced. However, Topps must have had a breakdown of each border available, as there would be no other reason to limit an “on demand” offering. Surely by selling out there will be a coloring book #2 in the future. This entry was posted in Online Sets, Topps.com and tagged Coloring book, Online, Topps.com by Jeff. Bookmark the permalink.